Custom Handmade Handbags from Fabulous Patterned Fabrics. 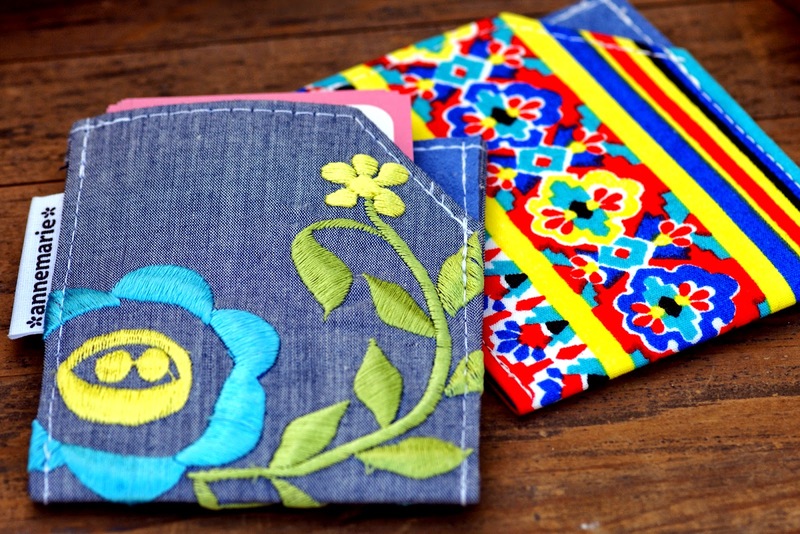 Textiles to Love, Together in Fun & Functional Wallets & More. For local Arts & Crafter Anne Marie Beard, the most important part of any great work is the material, and by that, I mean actual Material - unique textiles she chooses to showcase in every one of her one-of-a-kind sewn pieces. 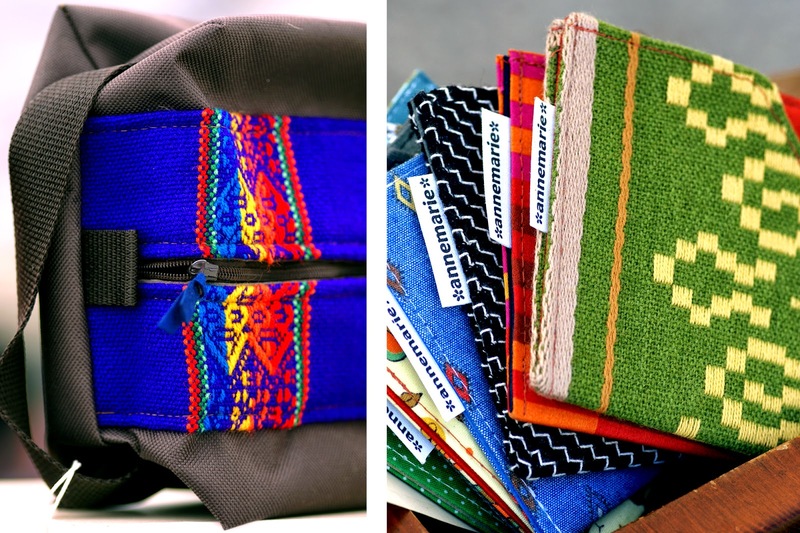 The designs that she has come up with for her wallets, cosmetic bags, purses and more are simple and functional. They've become quite characteristic and recognizable. You can tell that they are well-made with clean lines and great fabrics to help you make a statement. Her creativity and fun personality shine through the great patterns she finds. Undoubtedly her costume making days taught her how much character fabric can bring to any outfit or accessory. Who wouldn't love a leopard wallet or a southwestern striped makeup kit? Tell the world something about yourself through the wallet or bag you choose. 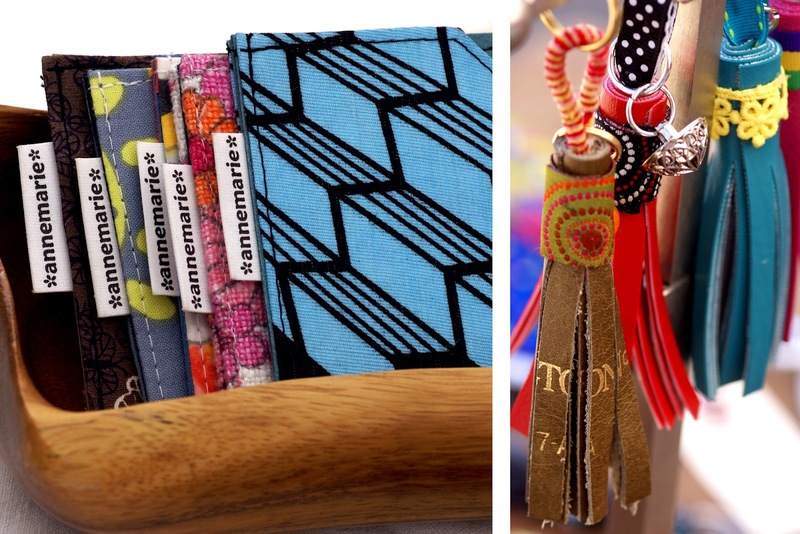 Some of Anne Marie’s items feature solid bold colors with complementary textiles for pop. Yet another sampling of her creations results from a mix of patterns, perfect together for all their contrasting colors and designs. Her inspiration seems to come from anywhere and everywhere. Give her a sewing machine, and she has no trouble whipping up a bag you’d be happy to tote. Aside from the fabrics she incorporates for decorative flair, her handmade tassels also add extra pizzaz. Hard to choose, but easy to use. That’s how I feel when I encounter Anne Marie’s work. So many wonderful colors and combinations! I want one of them all!